After tragedy strikes, a grieving father discovers an ancient burial ground behind his home with the power to raise the dead. For 29 years, references to the film version of 1989’s Pet Sematary stood alone, as it offered the only filmed version of Stephen King’s 1983 novel. 2019 changes that, as a new adaptation of the book hits the screens. That makes the old movie “Pet Sematary (1989)”. Because I’ve not seen the movie since 1989, this felt like a good time to revisit the tale. Dr. Louis Creed (Dale Midkiff) moves his wife Rachel (Denise Crosby), six-year-old daughter Ellie (Blaze Berdahl) and toddler son Gage (Miko Hughes) to a small town in Maine. They live perilously close to a busy road, and this proximity leads to Gage’s death. The Creeds live near a mystical burial ground that can bring dead animals back to life, though not always with the most pleasant results. A grief-stricken Louis decides to see if this will work with humans. Is it a spoiler to indicate that this experiment doesn’t go well? Not really – it’s a horror story, after all, so no one expects everything to wind up hunky dory when a dead two-year-old pops back to life. I’ll leave the particulars vague, though. Earlier I mentioned that I’d not seen Sematary in 30 years, but in truth, I’m not sure I ever watched the movie. As I recall, the film didn’t get great reviews, though it did pretty decent business. $57 million for a low-budget horror flick circa 1989 seems more than adequate. Sematary certainly stands as the biggest hit in Mary Lambert’s career. She earned her initial fame as the director of music videos – mainly some of Madonna’s early clips – and I suspect that aspect of her professional life remains her most prominent credit. Lambert didn’t do much as a big-screen director, and Sematary doesn’t make me feel like we lost a major cinematic talent. She undeniably deserves credit as a pioneering music video director, but if Sematary acts as an example, she didn’t boast great skill as a feature filmmaker. I never read King’s novel, so I can’t determine how much of the blame for this film’s mediocrity lies on the author or on the director. Based on what I saw, however, I’d push this one toward Lambert, as she simply can’t bring out any sense of terror or drama with the material. In truth, Sematary never feels like a big-screen affair, as it comes across more like a TV movie. Sure, the occasional bit of gore or the smidgen of profanity jacked it up to an “R” rating, but this seems like a “mild ‘R’” at most, one that might only be “PG-13” these days. Not that a movie needs to be gory and violent to bring us scares, of course. A well-made film can impact the audience without anything objectionable in terms of those elements. Unfortunately, Sematary simply lacks even the most rudimentary sense of horror. It throws out components that probably should frighten and/or unnerve, but they don’t pack any form of punch. There’s just a pedestrian vibe about the whole thing. As mentioned, Lambert fails to connect with the story or characters, and the end product tends to drag. A fairly mediocre cast doesn’t help. As the neighbor who befriends the Creed family, Fred Gwynne brings some much needed charm, but neither Midkiff nor Crosby show the talent or charisma to energize the tale. No one will call this the worst adaptation of a King novel, but that’s more of an indictment of all the crap issued under his name than anything else. 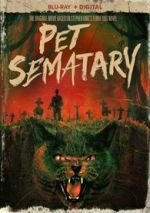 Pet Sematary brings a wholly ordinary stab at horror that never comes together for thrills or scares. 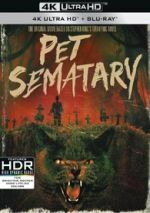 Pet Sematary appears in an aspect ratio of approximately 1.85:1 on this Blu-ray Disc. I don’t expect much from late 80s movies, but Sematary looked surprisingly terrific. Overall sharpness worked fine, as the majority of the movie offered nice delineation. A few interiors felt a little soft but most of the film seemed accurate and well-defined. I saw no issues with jagged edges or moiré effects, and the image lacked edge haloes. The movie came with a nice sense of light grain and failed to show any print flaws. Colors tended toward a mix of natural tones, and the Blu-ray replicated them well. This meant the hues appeared full, albeit on the chilly side to suit the material. Blacks seemed dark and dense, while shadows were largely appealing, though a few low-light shots seemed a bit thick. Overall, the visuals worked nicely, especially given the movie’s low-budget origins. Positive thoughts greeted the DTS-HD MA 5.1 audio of Sematary as well. I expected the film to come with a subdued soundfield, and that was almost always the case. Music demonstrated fine stereo imaging, and the mixes conveyed a good sense of the various settings. On occasion, we got a little more life from the material. For instance, scare beats added some oomph and involvement, as did vehicles, and weather-related elements could bring useful information. Nothing here dazzled, but the soundscape worked fine for the tale. Audio quality seemed fine. A few lines sounded a little stiff, but most of the dialogue was natural and concise. Effects fit in with the track well, as those elements appeared accurate and well-defined. Music fared best of all, so the movie’s score appeared warm and rich. This wasn’t a slam-bang soundtrack, but it was more than satisfactory. We get an array of extras here, and we begin with an audio commentary from director Mary Lambert. She presents a running, screen-specific look at story and characters, sets and locations, cast and performances, and connected domains. Lambert provides a perfectly okay commentary. While she goes silent a little too often and narrates the movie a little too much, she gives us enough info to make this a passable discussion of the film. New to the 2019 release, we get two featurettes. Fear and Remembrance runs seven minutes, 14 seconds and includes notes from producer Mark Vahradian, screenwriter Jeff Buhler, directors Kevin Kolsch and Dennis Widmyer, production designer Todd Cherniawsky, and actors Jason Clarke, Amy Seimetz, and John Lithgow. All of those folks worked on the 2019 version of Sematary, and they bring an appreciation of the 1989 edition. This feels more like a promo piece than anything else. Also new for the 2019 disc, Revisitation goes for nine minutes, 38 seconds and features Lambert. She discusses how she came to the film as well as working with Stephen King, casting, sets and locations, the remastered transfer, and the film’s legacy. Inevitably, some of the content here duplicates notes from Lambert’s commentary. Still, she brings some new notes and makes this a useful enough chat. The final new component, Galleries breaks into three domains: “Storyboards” (16 screens), “Behind the Scenes” (44) and “Marketing” (18). We also find a one-minute intro to the storyboards from Lambert, as she lets us know what we’ll see. All these areas offer some decent images, though it disappoints that we only get storyboards for one scene. Also, on my Panasonic player, the galleries advanced unusually slowly. Other machines may work better, but this still was a surprisingly sluggish process. “Territory” covers aspects of the original novel and its move to the screen as well as locations and set design. This turns into a reasonably satisfactory show. With The Characters, we find a 12-minute, 52-second reel that includes Lambert, Midkiff, King, Greenquist, director of photography Peter Stein and actor Fred Gywnne. As expected, this piece examines cast, characters and performances. It becomes another decent exploration. Finally, Filming the Horror fills 10 minutes, 29 seconds with statements from Winter, Lambert, Midkiff, and Greenquist. This offers a fairly general look at the production that provides a reasonably good overview, though not anything special. 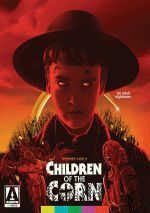 In the history of Stephen King novels adapted for the screen, we’ve gotten a lot more bad than good, and Pet Sematary firmly falls in the “meh” pile. While not incompetent, it feels far too bland and monotonous to pack a punch. The Blu-ray comes with very good picture as well as pleasing audio and a smattering of supplements. Nothing about Sematary truly stinks but the film nonetheless remains a dull snoozer.